New London, CT – All expectant and new parents are invited to a free community baby expo at Lawrence + Memorial Hospital Saturday, October 13, from 10 am to 2 pm in Baker Auditorium at the main hospital campus on Montauk Avenue. The event gives expectant and new parents the opportunity to learn about hospital programs and meet with community resources. Tours of the hospital’s maternity unit will also be available. There is no cost for the event. Reservations are not required. For more information, contact Tiffany Kriz at 860-442-0711, ext. 2657. Lawrence + Memorial is a private not-for-profit, general, acute care hospital that has been serving patients since 1912. L+M is licensed for 280 beds, employs more than 2,000 people and serves 10 shoreline towns between Rhode Island and the Connecticut River, as well as the residents of Fishers Island, NY, in its primary service area. 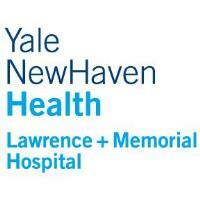 Now part of Yale New Haven Health, L+M is the only hospital in eastern Connecticut with a newborn intensive care unit. It is also the only area hospital able to perform emergency and elective angioplasty.